Nobody ever said that finding quince would be easy. Most supermarket produce managers don’t even know what they are, so how am I to find them? Instead of driving around, wasting time and gasoline, I got smart, and started calling nearby markets. *Winn-Dixie: had no clue what I was talking about. *Whole Foods: told me they weren’t in season until December. I asked in October, at the beginning of quince season. For the record: it's December now, and my local Whole Foods still doesn't have quince! *Fresh Market: said they carried quince, but didn’t know if any were in stock- couldn‘t be bothered to check. On an outing, Doug and I happened to be passing The Fresh Market (TFM). We stopped in even though I wasn’t sure any quince were in stock - at least I knew the store carried them. Oh My Gosh, I thought! I explained that I had phoned earlier, and was told TFM carried them, so could she please ask. While the young lady was gone, I spotted the elusive, exotic fruit. Smiling, I picked one up, caressing it - until I saw the price - $2.99 EACH! I dug deep into my pockets and bought two beautiful quince - I had to. Where else was I going to find them? So ,I finally had the quince. My next hurdle was to find a recipe that only used 2. After some serious searching, I located a recipe that came close. 1. Peel skin and core. Fruit is very hard so use caution! 2. Cut into ¼ inch slices. prevent quince slices from browning. 4. Bring to a boil over high heat. Cook for 10 minutes. Drain. 6. Bring to a simmer, stirring occasionally. 8. Remove pot from heat. Discard cinnamon stick. should keep for up to 2 months. **For the record, my quince did not turn pink. (See photo) But, it sure tasted great! And a cup of piping hot Armenian coffee! Sorry to hear about your epic search for quince. As you can imagine, finding quince in LA is not difficult, as many of the markets (especially the Armenian markets) carry them. I also tried a quince recipe (a stew) and my quince also did not turn pink. On the other hand, I was at a Lebanese restaurant in San Francisco and they happened to have quince preserves on the table and they definitely looked pink (actually, a very beautiful, deep rosy color). For the record, I did not care too much for the quince stew (or maybe I got the proportions wrong from the recipe), but I did make an interesting find: You can use quince in recipes in place of lemon juice and it gives it a very interesting, sweet-tart taste. You may recall that some Armenian recipes call for verjuice (the juice of green, sour grapes), while others call for pomegranate juice. Now, we can add one more to the list. I guess quince is more of a regional item, and South Florida is just one of those areas where it isn't as popular. 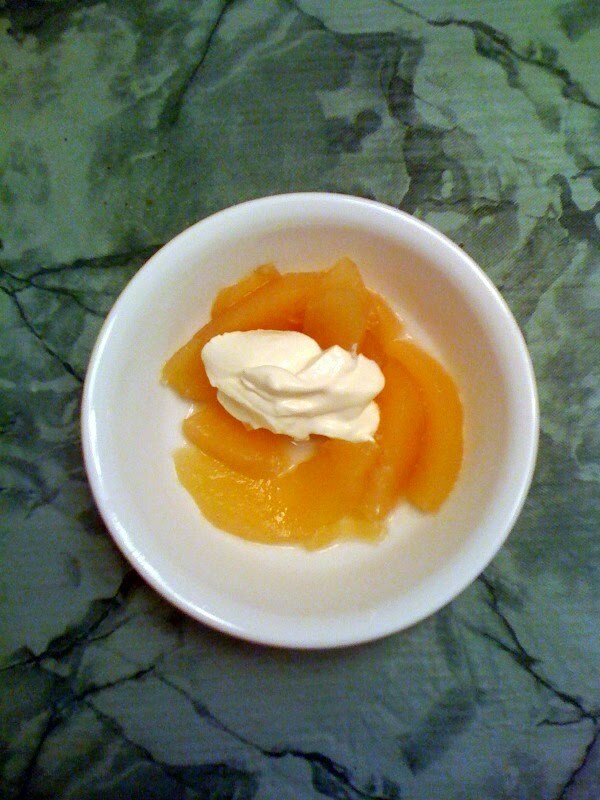 Thanks for the tip on the other use for quince, and new cookbook! The best and most complete book on this is called Simply Quince, by Barbara Ghazarian. Well worth buying. I truly enjoyed your site, thank you! In recipes for Quince preserves, the only way to insure the glorious pink (sometimes quite rosy red)color is to absolutely not peek during the end simmer. For fun, I am including a recipe from a friend who is quite a traditional old worldy cook. In a large heavy-bottom saucepan combine the sugar and water, bring to a gentle boil over medium heat, uncovered, boil for about ten minutes. Add a little more water, if needed. Add the ground cardamom and the slices to the sugar syrup, bring back to a boil on medium heat and pour in the lemon juice. Cover the pot and simmer for about 2 hours. It is recommended not to remove the lid during the cooking to ensure that quinces develop the desired rich ruby red color. You can wrap the lid in a clean kitchen towel. I didn't wrap the lid with any cloth and a few times I gently stirred the content. Serve with butter, cheese, yogurt and/or as a topping for vanilla ice cream. Exquisitely colored. Thank you for sharing this recipe. I bought a quince tree last year and am hoping for lots of fruit next year. Only 3 fruit this year, but it's small yet. Thanks so much for sharing the quince jam recipe. It sounds fantastic!